SOiL Biography, Discography, Music News on 100 XR - The Net's #1 Rock Station!!! 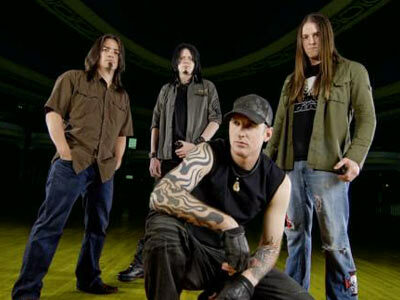 Comprised of vocalist Ryan McCombs, guitarists Adam Zadel and Shaun Glass, bassist Tim King and drummer Tom Schofield, the Alternative-Metal band SOiL formed in 1997 in Chicago, Illinois USA. The group started their career by releasing two independent records: a 5-track EP titled "El Chupacabra!" in late 1998 and their debut full-length album, "Throttle Junkies", in the spring of 1999. The quintet re-emerged nearly two and a half years later, in September 2001, with their J Records debut, "Scars"; this album climbed into the top 10 of the Billboard Heatseekers chart spawning two Mainstream Rock top 30 hit singles: "Halo" and "Unreal", triggering more than a year on the road, tours ranging from sold-out arenas with Ozzy Osbourne, Rob Zombie and Mudvayne, to large clubs with Static-X, Sevendust and Drowning Pool. That same year, SOiL unleashed a self-titled EP through Olympic. In March 2004, the Chicagan metallers delivered their third full-length CD, the second for J, "re.de.fine"; it peaked at #78 on The Billboard 200 while the main single, the album's title-track, rose to #11 on The Mainstream Rock chart, but soon after the album's release, the band parted company with their long-time vocalist, Ryan McCombs. 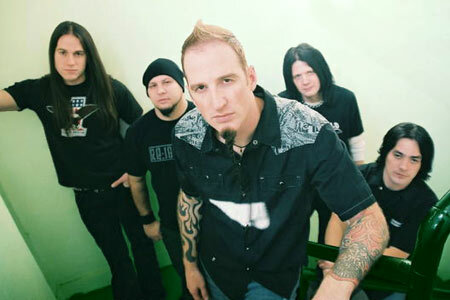 SOiL issued its fourth album, "True Self", in May 2006 on DRT Entertainment, this was the first to feature new singer AJ Cavalier who replaced McCombs, now in Drowning Pool. Preceded by the strong single "Fight For Life", the CD peaked at #21 on the U.S. Top Independent Albums chart. In the fall of 2007 the band and former guitarist Shaun Glass decided to part ways due to personal differences. The group decided to move forward as a four-piece and afterwards they hit the studio to record "Picture Perfect". Released in October 2009, the band's fifth offering, pretty much picks right up where "True Self" left off, the set includes another brutal, midtempo radio bullet: "Like It Is" as well as a second single titled "The Lesser Man". In mid-2010 both Cavalier and Schofield left the band. SOiL's sixth studio album, "Whole", was released in August 2013, via Pavement Entertainment in North America and AFM Records in the rest of the world. The band's first 100% independent release and also the first album with original frontman Ryan McCombs since 2004's "re.de.fine", reached the #141 position on The Billboard 200. It included the Active Rock top 40 hit single "Shine On".